My damned mousepad on my laptop closed me out of a much longer review. Hate this pos! But I digress. This was a good movie and Russell Crowe makes a respectable debut as a director while also giving a good performance. Yes it does omit Turkey's role in committing the Armenian Genocide but their portrayal is hardly the better for it and the British are treated like crap. The cinematography of both Turkey and Australia looked beautiful. 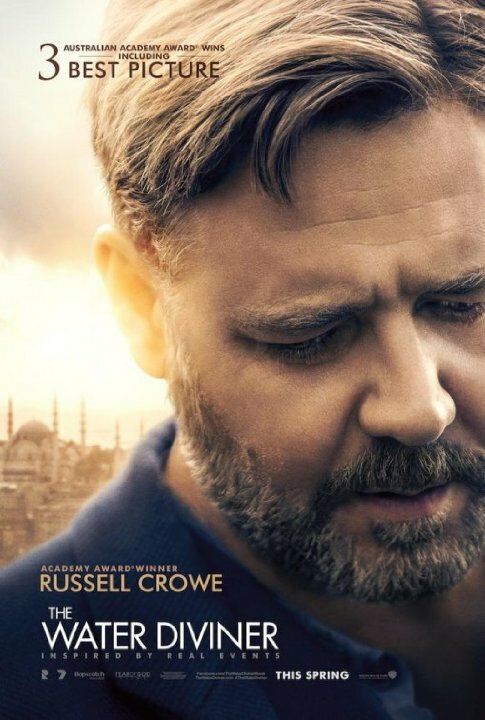 Controversies aside, Russell Crowe made a fine tribute to the ANZAC generation with a well made and sometimes even moving drama. "Are there any more records about my son? We are Ottomans, not Germans. " No posts have been made on this movie yet. Be the first to start talking about The Water Diviner!